Family tradition • JELÍNEK - výroba nábytku s.r.o. 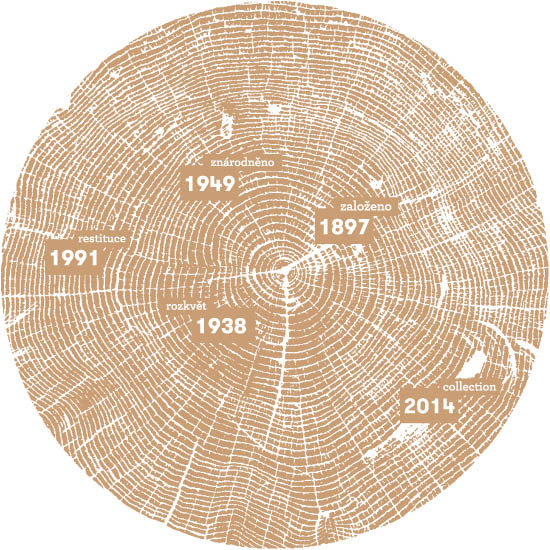 We have been working with wood since year 1897. The history of our company dates back to 1897. During its existence, it has undergone many events, whether ownership or political changes or the recent economic crisis. Despite all these changes, we are a 100% family business and more than 70 colleagues take care of you. We believe in honest work. The youngest of the JELÍNEK family and the upcoming succesor in a family business. During the communist regime, family property was expropriated. Vlastimil Jelinek moves to Prague, where he continues to raise his sons for carpentry. Personality with business spirit. He worked for Josef Volek at first. Than he married with Josef Volek daughter and became successor in company. He helped company during the economic crisis in 1930s. The founder of JELÍNEK company, which determined the quality of furniture production in the Wallachia. The customer is on the first place. Honest work and quality everywhere, and also there where you cannot see it. 5 years warranty on all our furniture and mattracess. We believe in our products. Service even after the warranty - and then we check, if everything is OK.
You can find out our furniture all over Europe. Our products are in households in Austria, Germany, Switzerland, Italy, Slovakia and others. Discover harmony of design with honest craft work. The biggest reward for us is the satisfaction of our customers.